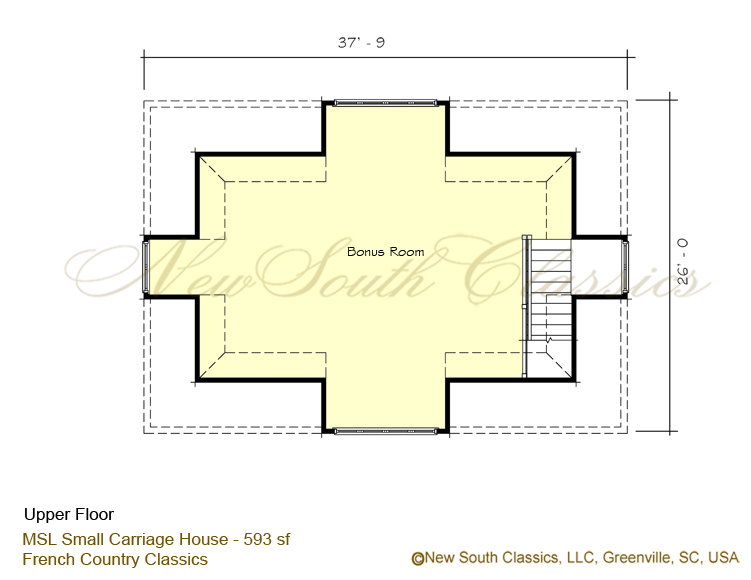 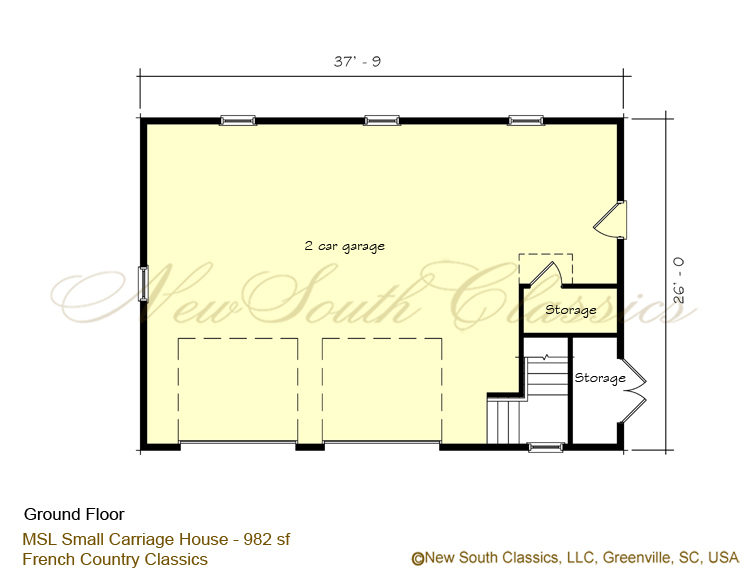 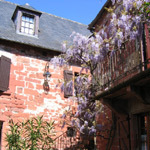 Our little French carriage house has lots of possibilities. 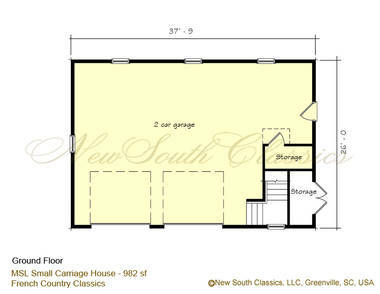 In addition to having room for two vehicles, it also has ample work and storage space. A winding stair leads to bonus space above that would be ideal for storage, office or even additional secluded living space for guests. Designed in the true French style with a steeply pitched roof, arched doors and shuttered windows, this little gem will be a focal point of any French country house. 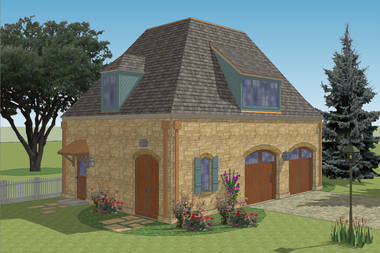 It can be connected to the main house with a covered link designed to fit your plan or can be free standing. 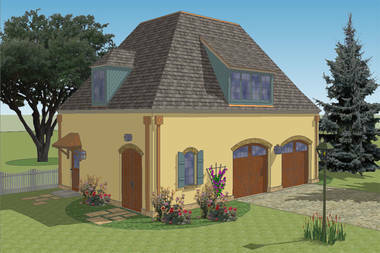 This small cottage can also serve as the perfect way to be housed in style while you build the main house.